Leire Asensio-Villoria is a registered architect in Spain and studied architecture at the ETSASS and the Architectural Association (AA). She received her diploma in architecture (with honors) from the AA for which, she was awarded the runner-up and the Virtual Medal Prize for the Silver Medal of the Royal Institute of British Architects Presidents Medals. 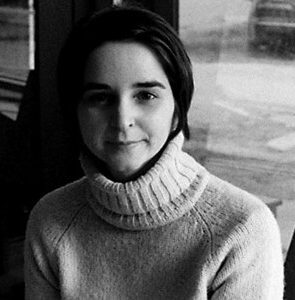 Asensio-Villoria was a design studio instructor in graduate design school at AA from 2004 to 2007 and a Visiting Lecturer in Architecture at Cornell from 2006 to 2010. She has conducted design workshops with the Peking University’s Graduate School of Landscape Architecture in 2005, with the Diploma School at AA in 2003-2004 and with Konkuk University’s SA workshop in 2009. Professionally, Asensio-Villoria has over 10 years of professional experience and has worked at a number of architectural practices in the United Kingdom and Spain including Zaha Hadid Architects, Torres Nadal Arquitectos as well as Allies and Morrison Architects & Arup. In 2002, Asensio-Villoria, together with David Mah, founded asensio_mah, a multi-disciplinary design collaborative active in the design of architecture, landscape design and master planning. Asensio_mah have exhibited and lectured internationally and are currently completing a number of ongoing projects in Europe and Australia. Casa Q, a new build residential commission recently completed in Spain, integrates digital fabrication techniques with traditional construction practices as well as landscape engineering and design.